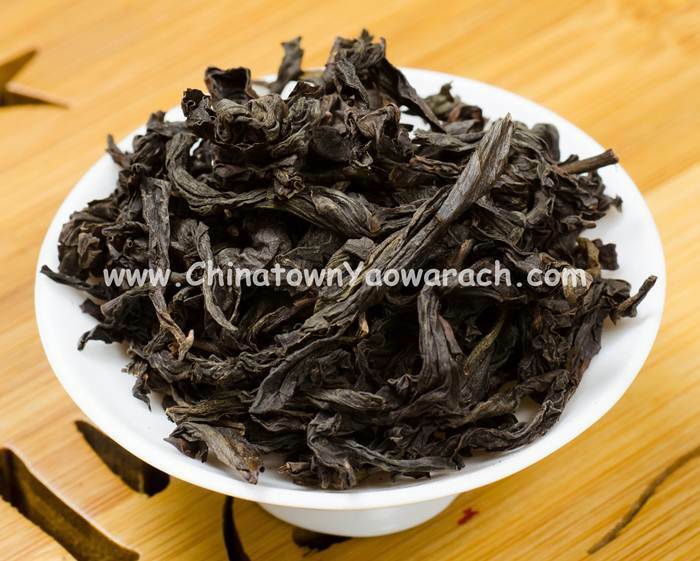 Shui Xian Tea. They are fat with twisted ends which look like “the head of dragon fly and the leg of frog” .The color is a mix of black and dark green with shiny and full looking. This tea has a special aroma of orchid. It has the rich and heavy taste that lingers in your throat for a long time.